Spending the day at the orphanage was truly eye opening. I’ve always known that we, as Americans, are blessed in so many ways. We take so much for granted, even the necessities of life, such as food and shelter. I grew up in a large family (eight siblings) and we struggled at times to even have the basic things in life. When I was younger, I didn’t realize that we were poor. I thought and accepted that this was just the way it was and everyone lived like that. It wasn’t until I was older and saw how other people lived that I realized how much we DIDN’T have. It would be many more years later that I would come to understand that all the “things” people had, that I thought I needed, didn’t make you happier or any better than anyone else. I would see this through the children’s eyes at the orphanage. I walked around that yard and tried to see as many children as I could. I mean really see them, where I would take a moment to look them squarely in the eyes and give a hug. Even the shy ones loved the hug as not one pulled away. I wanted them to know “I see you and you are special”. It didn’t take long for the kids to feel comfortable around us and before long it looked like the Pied Piper and his followers. We were all engaging with the children and I was so enjoying my time. A couple of the girls (around 10 or 11 yrs. old) found long sticks and were pretending it was a guitar. They were putting on a little show for us and we were enjoying it. At Pwoje Espwa (Hope Village, the orphanage) Father Marc is always working to raise money for the children. Within the orphanage, there is a place set up for visitors and volunteers that stay to help for a week or so. This brightly colored area consists of a few buildings built around a courtyard. There are a few bedrooms, bathrooms, a kitchen and some offices. The courtyard area where Father Marc entertains the visitors is very inviting with pieces of art displayed on the walls. This was where he took us next. I was impressed with the simple beauty of the area. 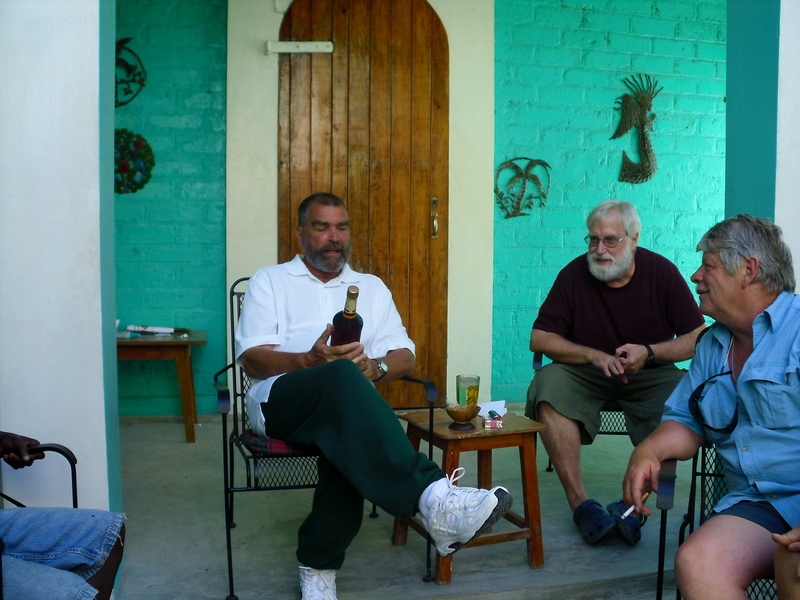 As we found a chair to sit and relax, Alex presented Father Marc with a nice bottle of rum. (We had heard he likes a drink now and then). He was very appreciative and thanked us all for what we had done and gone through to bring the aid to his kids. He explained a bit more about his ideas and desires in the future for Hope Village. A young man of about 14 or so came up to each of us and asked if we would like a drink. We all said yes and as he left to get it, Father Marc explained that he was learning to become a waiter so he could hopefully get employment in the city when he left in a few years. You could tell he was very nervous but did a good job. He then had another young man show us some of the pieces of art the kids had made to sell. He brought out medal pieces shaped like the sun or angels, brightly painted pictures and boats carved from wood. The young man explained in good English, how some of them were made. We were so impressed and I believe we all bought something. Julia and I both bought four things each. I knew it would make great gifts for family and friends back home. We had one more surprise waiting for us and it was one that touched us deeply. Another young man had asked Father Marc if he could sing for us. As we waited for him to appear, Father Marc explained that he was 14 years old and had been in the orphanage his entire life. His mother died giving birth to him and his father was unable to care for him, so he was left at the orphanage. At this time, out walked a handsome, well dressed young man. I noticed he had one white glove on his left hand. Father Marc explained later that he loved Michael Jackson and tried to emulate him. He shyly walked to the middle of the courtyard and just started singing. 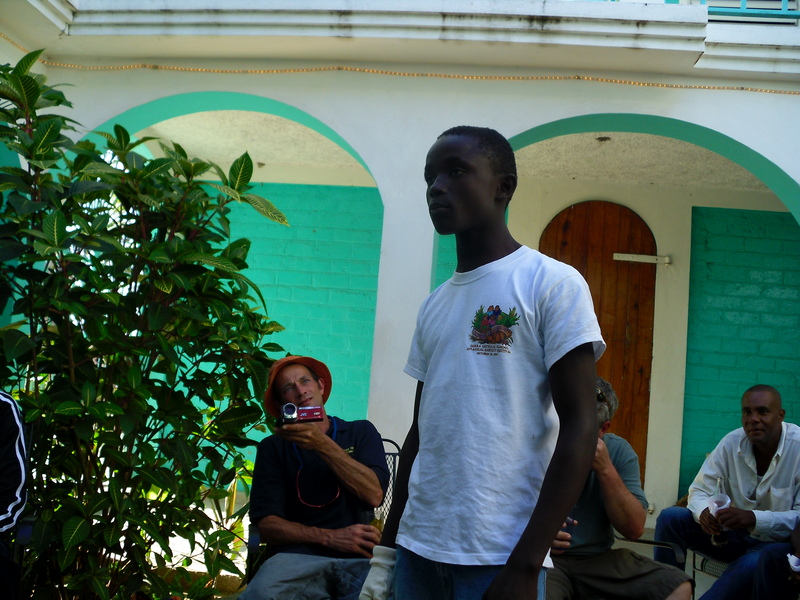 It was in Creole so we didn’t understand the words, but the sincere look on his face told the story that he was singing something close to his heart. I caught a few words that sounded like love and mama. We later learned that this was a song he wrote for his mother (that he never knew) telling her that he would always love and respect her. Our eyes filled with tears as we each hugged and thanked him for sharing his special song with us on that beautiful day. It had been a long but wonderful day. As we prepared to leave, I ventured away from the group and took a walk around the area. I wanted a few moments alone to collect my thoughts. As I looked out onto the yard and saw so many children walking about either doing their chores or horsing around it brought me back to my childhood. Just like me, these kids didn’t know any different than what they were experiencing. They had three meals a day, a bed to sleep in, and were all getting an education. Each and every child I had talked to or hugged wasn’t sad or yearning for something more. Instead, they were enjoying the attention and just being kids. These children were full of smiles and joy and it was infectious. I remember that day like it was yesterday. 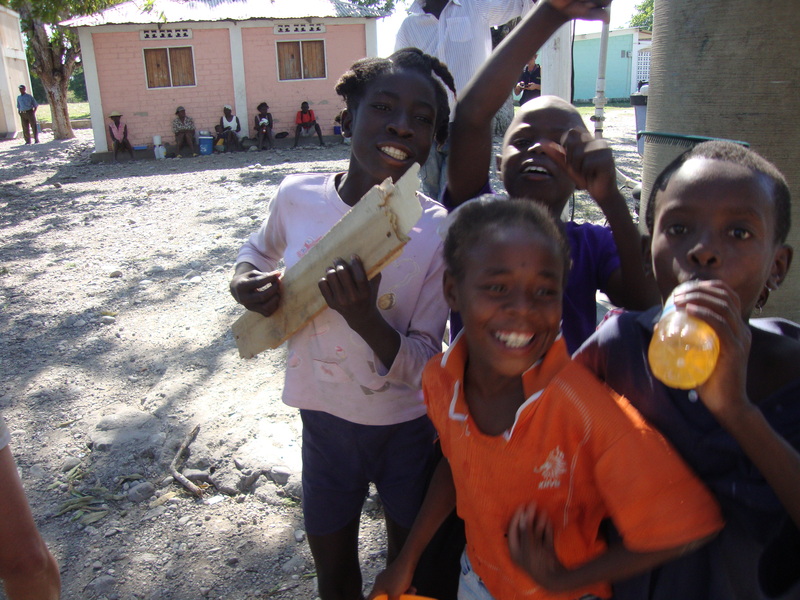 The hardships we faced along the way to Hope Village was all worth it, just to see the kids smile.